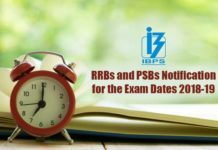 IBPS RRB VII Notification is Out for 2018-19: The online examination for the next Common Recruitment Process for RRBs (CRP-RRBs VII) for recruitment of Group “A”-Officers (Scale-I, II & III) and Group “B”-Office Assistant (Multipurpose) will be conducted by the Institute of Banking Personnel Selection (IBPS) tentatively between August and October 2018. The interviews for recruitment of Group “A”- Officers (Scale-I, II & III) under the same process will be coordinated by the Nodal Regional Rural Banks with the help of NABARD and IBPS in consultation with appropriate authority tentatively in the month of November 2018. 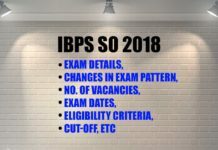 Candidates may please note that the eligibility criteria specified are the basic criteria for appointment to the aforesaid posts in the Regional Rural Banks. 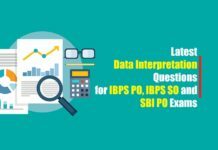 However merely applying for, qualifying in the CRP and getting provisionally allotted in one of the RRBs does not imply that a candidate will necessarily be eligible for employment in any of the Regional Rural Banks. It is expressly clarified that the ultimate authority for recruitment is the Regional Rural Bank itself. The RRB concerned may, in its sole discretion, reject the candidature of anyone provisionally allotted to it through the CRP. Please note that the eligibility criteria specified herein are the basic criteria for applying for the post. Candidates must necessarily produce the relevant documents in original and a photocopy in support of their identity and eligibility – pertaining to category, nationality, age, educational qualifications etc. as indicated in the online application form at the time of interview/document verification, as the case may be. Please note that no change of category will be permitted at any stage after registration of the online application and the result will be processed considering the category which has been indicated in the online application, subject to guidelines of the Government of India in this regard. Merely applying for CRP/ appearing for and being shortlisted in the online examination (preliminary and main) and/or in the subsequent interview and/or provisionally allotted and/or subsequent processes do not imply that a candidate will necessarily be offered employment in any of the Regional Rural Banks. No request for considering the candidature under any category other than the one in which one has applied will be entertained.